The most important photos of the day for me are the ones that are captured with the people that are in your every day life. 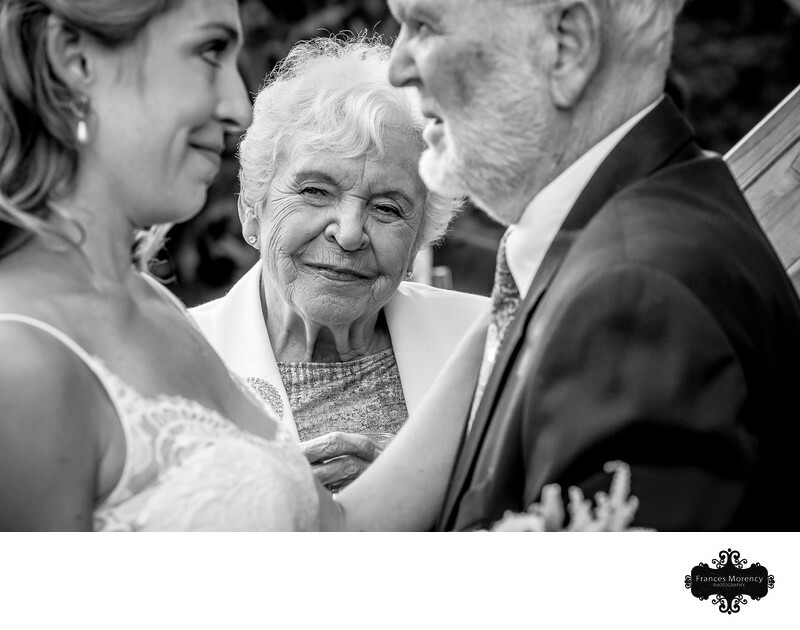 The moment this bride saw her grandparents it was emotional and moving. I was honoured to be able to capture this spontaneous, journalistic photo for this bride. This AWARD WINNING image, i'm sure will be remembered for years to come with this family. I would not have been able to get this if I didn't stay within reach of my bride and groom at all times. During cocktail hour when you get to greet everyone individually is usually when these reactions will occur. If you want photos with your guests and family that is not in a formal setting then I highly recommend you participate in your cocktail hour. Journalistic captures of guests during cocktail hour. These are JOURNALISTIC moments as they are happening and NOT staged. Your photographer needs to be able to anticipate which guests will elicit emotional moments, or comedic moments or fun moments and be ready to capture them all. Location: The Millcroft Inn & Spa 55 John St, Alton, ON L7K 0C4. Keywords: cocktail hour (3), grandpa (3), Journalistic (51), Millcroft Inn and Spa (3), moments (3). 1/200; f/5.6; ISO 1600; 130.0 mm.